THIS VEHICLE IS LOCATED AT LW2 9234 PERRY HIGHWAY PITTSBURGH CALL 412-366-7400! 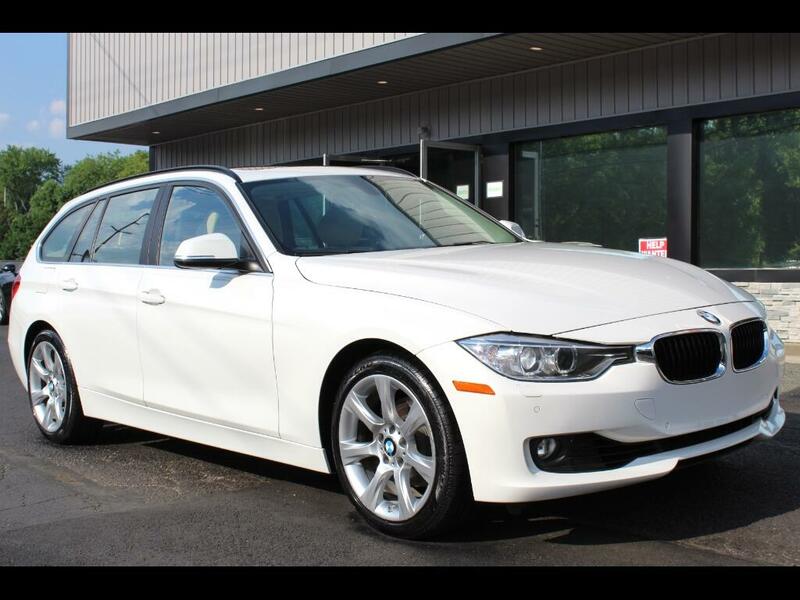 2015 BMW 328XI SPORT WAGON! ALL-WHEEL DRIVE! 2.0L TWIN-TURBO! SPORT PACKAGE! COLD WEATHER PACKAGE! ONE OWNER CARFAX SHOWING NO ACCIDENTS REPORTED! SHARP CAR! ALPINE WHITE EXTERIOR WITH TAN LEATHER INTERIOR. VERY CLEAN CAR FOR THE MILEAGE. RUNS PERFECT! VERY CLEAN INSIDE AND OUT. WE WOULD CONSIDER THIS BMW IN ABOVE AVERAGE CONDITION FOR THE MILEAGE. ALL VEHICLE FUNCTIONS WORK PROPERLY. NO MAINTENANCE LIGHTS ON. THIS BMW IS NICELY OPTINED WITH; 2.0L TWIN-TURBO ENGINE, AUTOMATIC TRANSMISSION, PADDLE SHIFTERS, CRUISE CONTROL, PUSH TO START, NAVIAGTION, BACKUP CAMERA, LEATHER INTERIOR, FRONT AND REAR PARKING AIDE, POWER WINDOWS AND LOCKS, POWER SEATS WITH MEMORY, CD PLAYER, SATELLITE RADIO READY, USB AND AUX PORT, BLUETOOTH PHONE, STEERING WHEEL MOUNTED CONTROLS, DUAL CLIMATE ZONES, FRONT AND REAR HEATED SEATS, HEATED STEERING WHEEL, SPORT AND ECO MODE, PANORAMIC MOONROOF, POWER TAILGATE, KEYLESS ENTRY, XENON PROJECTOR HEADLIGHTS, FOG LIGHTS, 18" ALLOY WHEELS, AND MORE! 4 MATCHING PIRELLI SOTTOZERO RUN-FLAT TIRES WITH DECENT TREAD LEFT ON THEM. 2 KEYS AND 4 CARPET FLOOR MATS INCLUDED WITH THIS VEHICLE. AT OUR ASKING PRICE THIS BMW WILL COME WITH A ONE YEAR UNLIMITED MILEAGE POWERTRAIN WARRANTY. PLEASE CALL US FOR MORE WARRANTY INFO. THIS VEHICLE IS LOCATED AT 9234 PERRY HIGHWAY PITTSBURGH PA 15237. PLEASE CALL 412-366-7400 FOR MORE INFO OR TO SCHEDULE A APPOINTMENT TO SEE THIS VEHICLE. TO VIEW THE MOST PICTURES AND SEE THE FREE CARFAX PLEASE GO TO OUR WEBSITE WWW.LWAUTOMOTIVE.COM. WE SHIP NATIONWIDE! CALL OR TEXT US FOR A QUOTE. THANKS FOR LOOKING!